August 27, 1954 the French and North Vietnamese signed their treaty the US Army was on the ground in Southeast Asia. 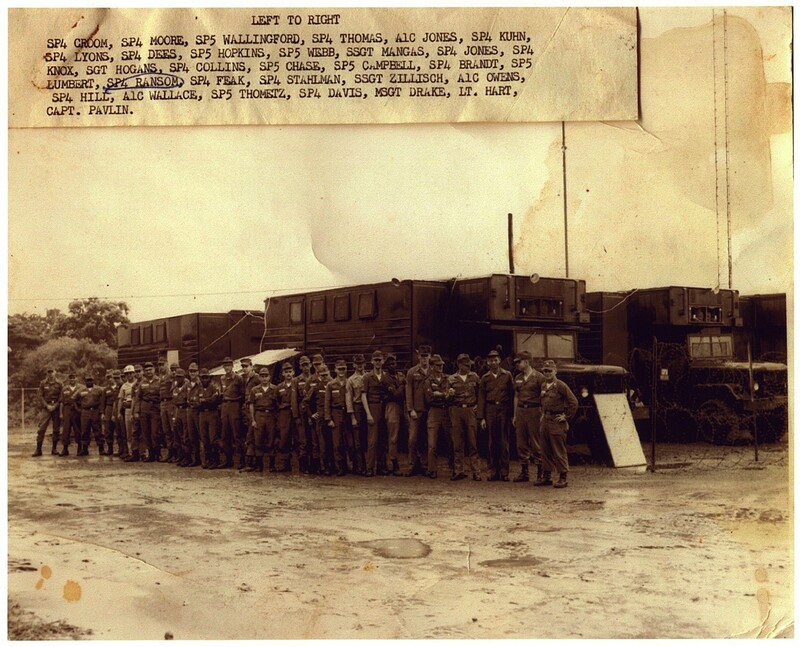 the 6920th USAFSS from Japan and the 29th Radio Squadron Mobile from the Philippines. 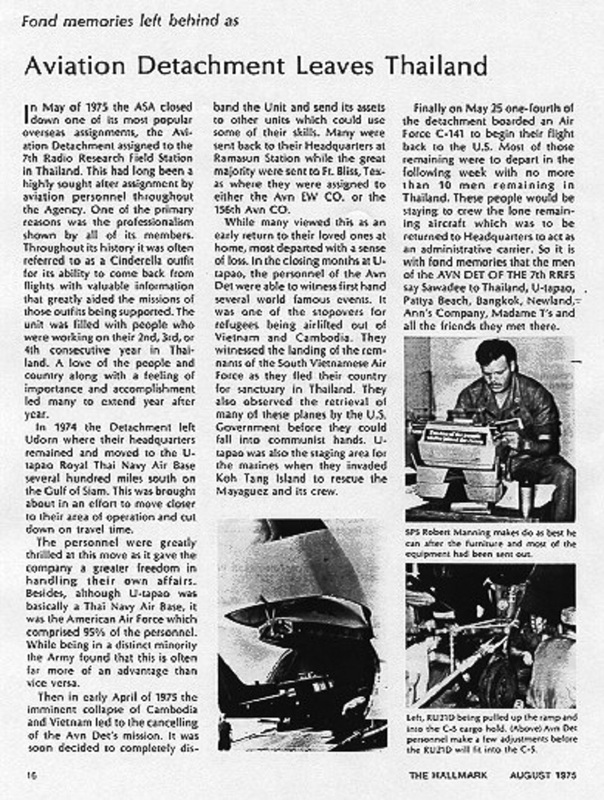 In 1959, 37 men were transferred from various ASA bases in the United States to Two Rock Ranch Station, Petaluma, California. 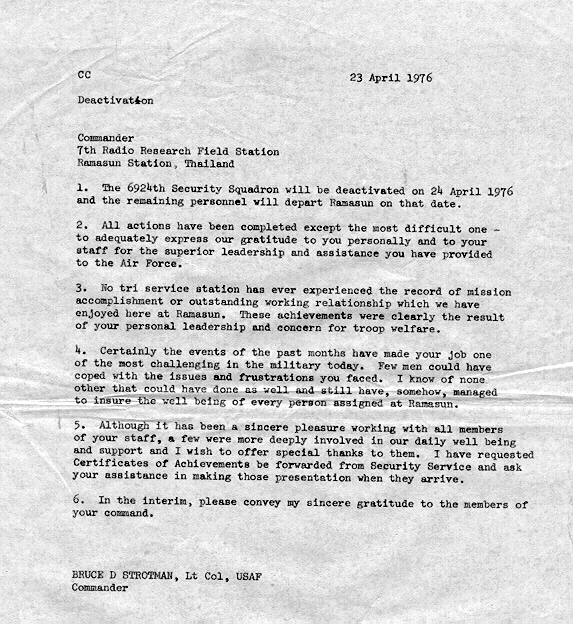 Under Special Orders dated September 15, 1959 these men were sent to the 9th ASA in the Philippine Islands. From this group a handful went on to Bangkok. 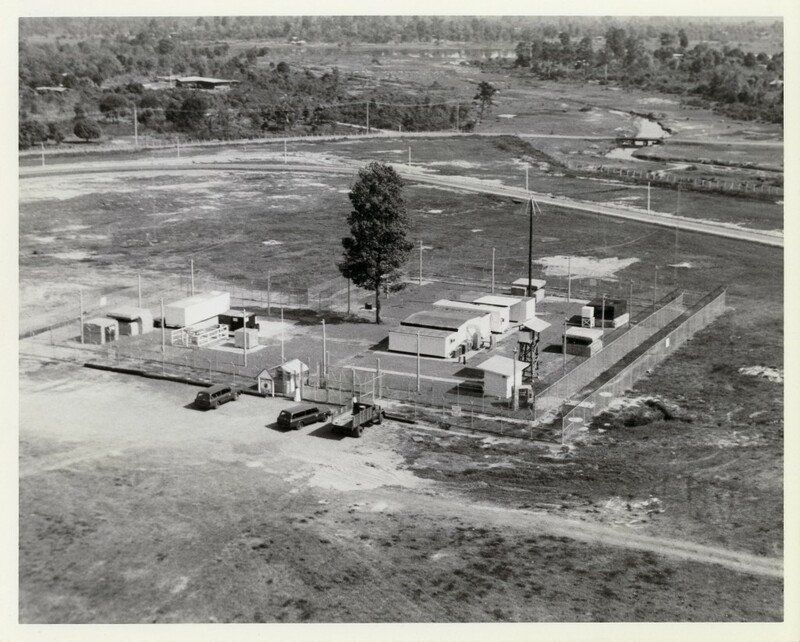 These men worked in 2½ ton trucks while the Operations Center site was being built. 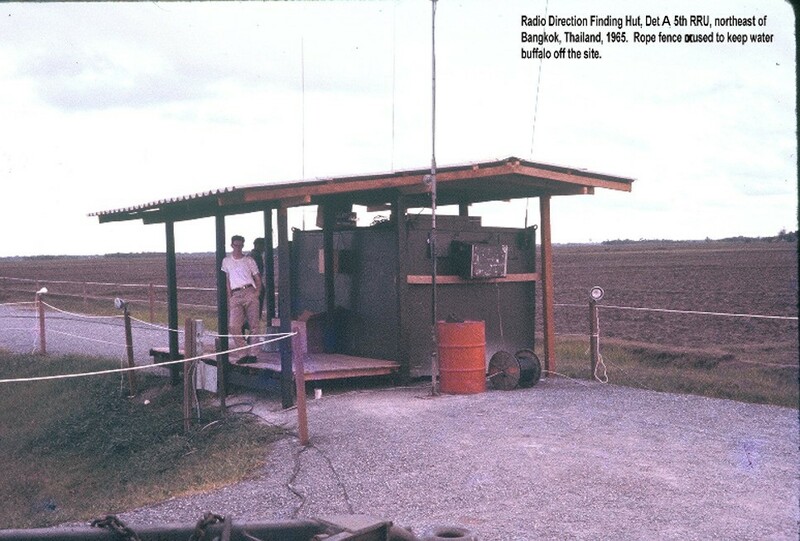 The 5th RRU was in existence from Late 1959 to September 1966. Detachment A - Min Buri - DF - 1965 to 197? The 5th RRU(p) became the 83rd RRSOU in September 1966. The 83rd RRSOU was in existence from September 1966 to October 1970. 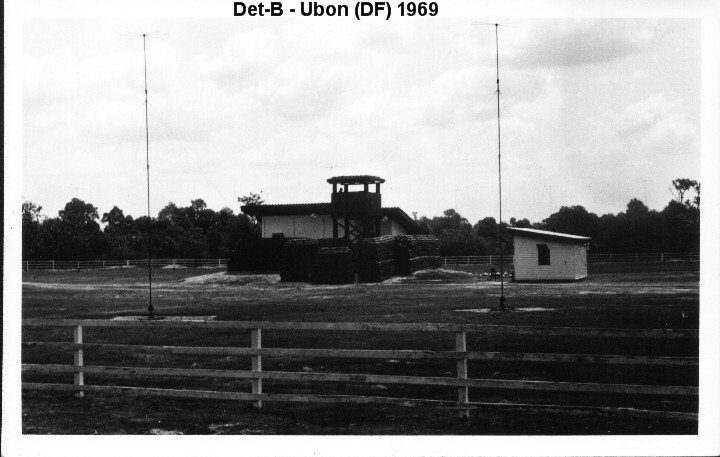 After Closing in October 1970 all detachments of the 83rd were assigned to the 7th RRFS. 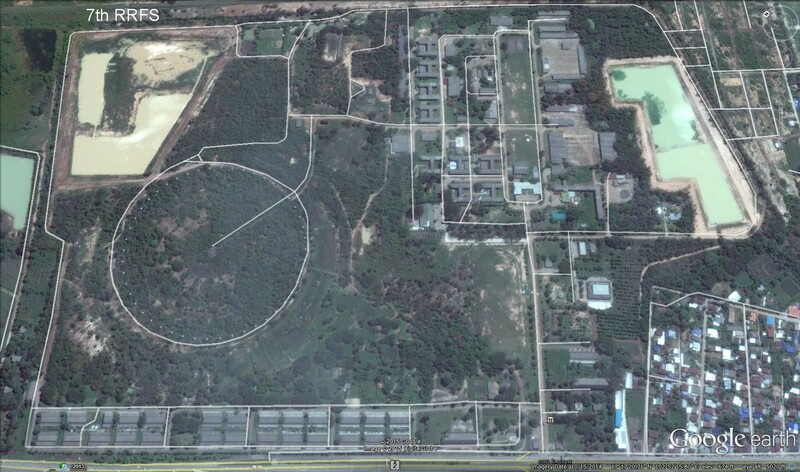 · Detachment A – Min Buri - DF - 1965 to 197? If anyone has any corrections to the dates listed above please contact me.